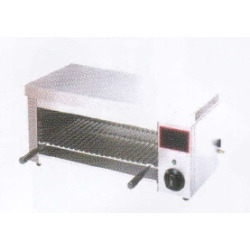 Leading Manufacturer of aluminum idli box, shawarma machine, electric salamander and salamander machine from Bengaluru. 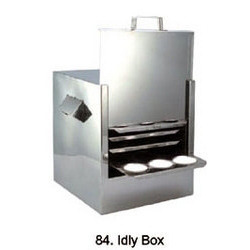 With the help of our dedicated and dexterous professionals, our company is engaged in supplying, trading, retailing and wholesaling a wide array of Aluminum Idli Boxes. These boxes allow easier way of preparing soft, delicious, well shaped and fluffy Idlies. By utilizing the modern techniques and world-class raw materials, pour vendors have developed these boxes as per the industry norms. 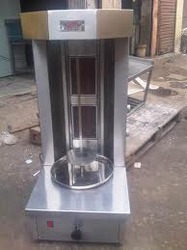 As a leading name in industry, our company is involved in offering a large array of Shawarma Machine. We have sourced our exclusive range of these items from some of the genuine and authentic vendors of the industry. In order to sustain the quality and reliability of the products, we pass them on well defined quality parameters that enable us to gain utmost client satisfaction. With the help of our well equipped infrastructure and experienced staff members, we are able to supply, trade, export and wholesale an exclusive range of Electric Salamander. Equipped with the advanced technologies, these Salamanders are available in varied sizes and other related specifications. Entire range of our products has been undergone several parameters of the quality that ensure their reliability and quality. From the past couple of years, we are engaged in offering a huge variety of Salamander Machine. Our exclusive range of these equipment has been developed as per the international quality norms and by advanced technology tools. Due to their exceptional features and unique attributes, these products are broadly applauded and demanded by our huge clientele. We offer these salamanders at most economic rates in market. 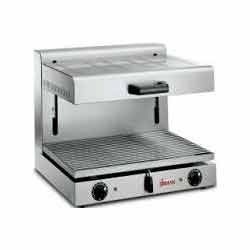 Looking for Electric Cooking Machine ?